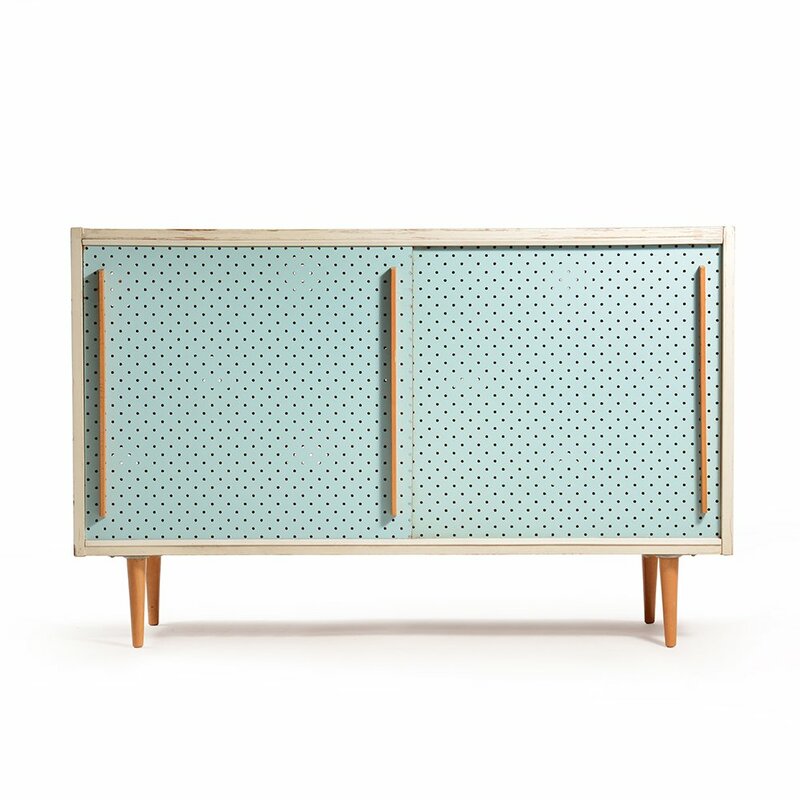 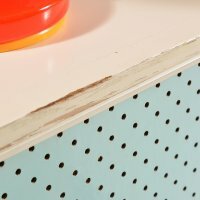 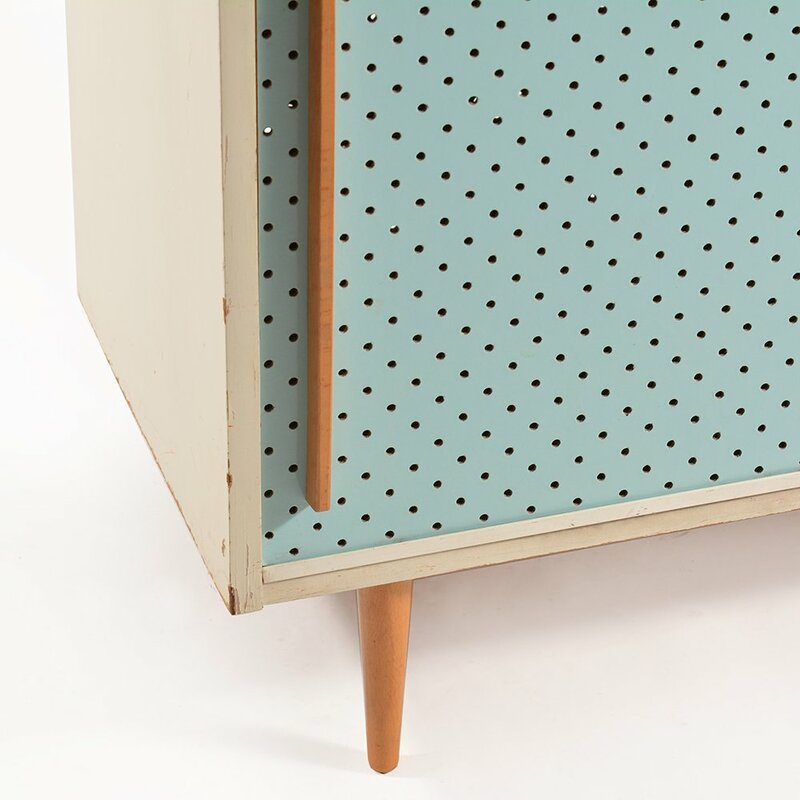 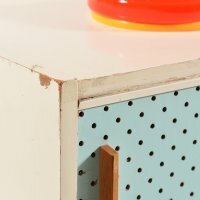 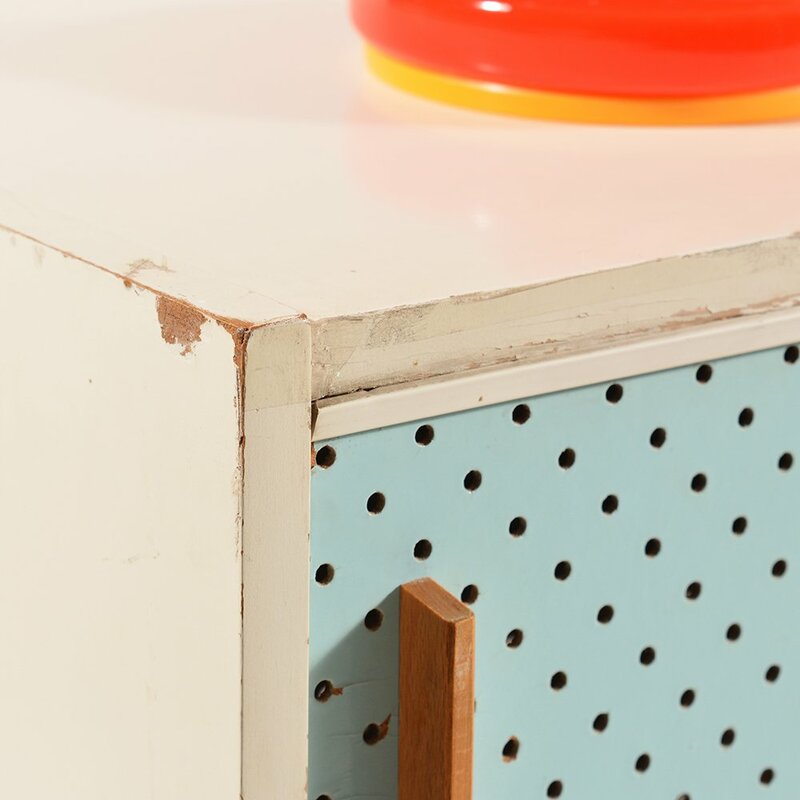 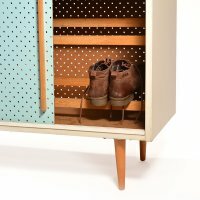 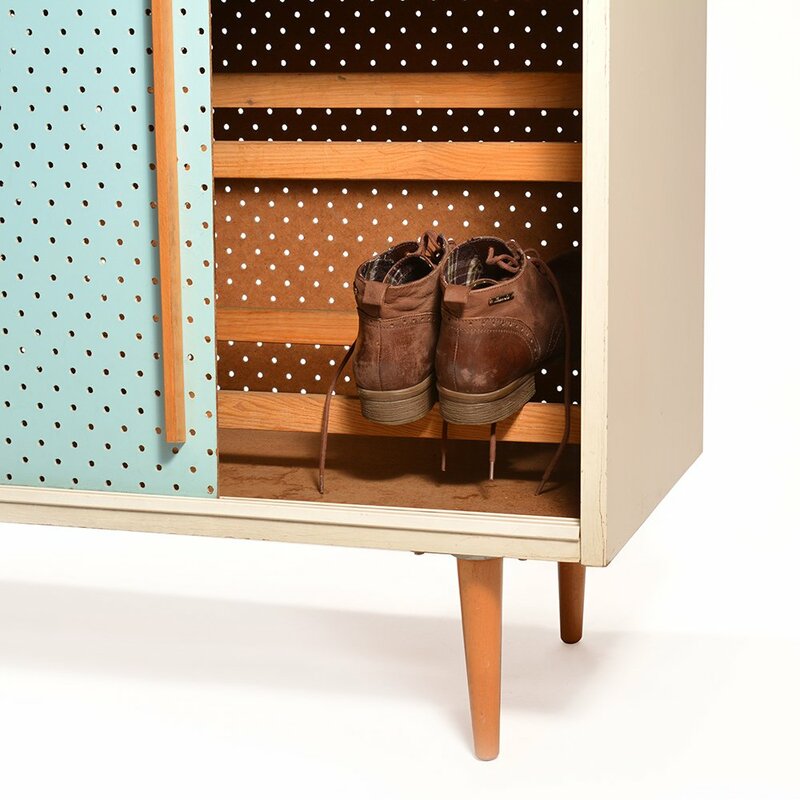 Vintage cabinet used as a shoe cabinet with sliding, perforated door for the ventilation. 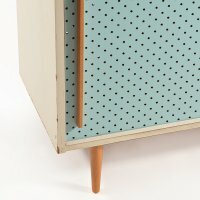 Easy and really nice design. 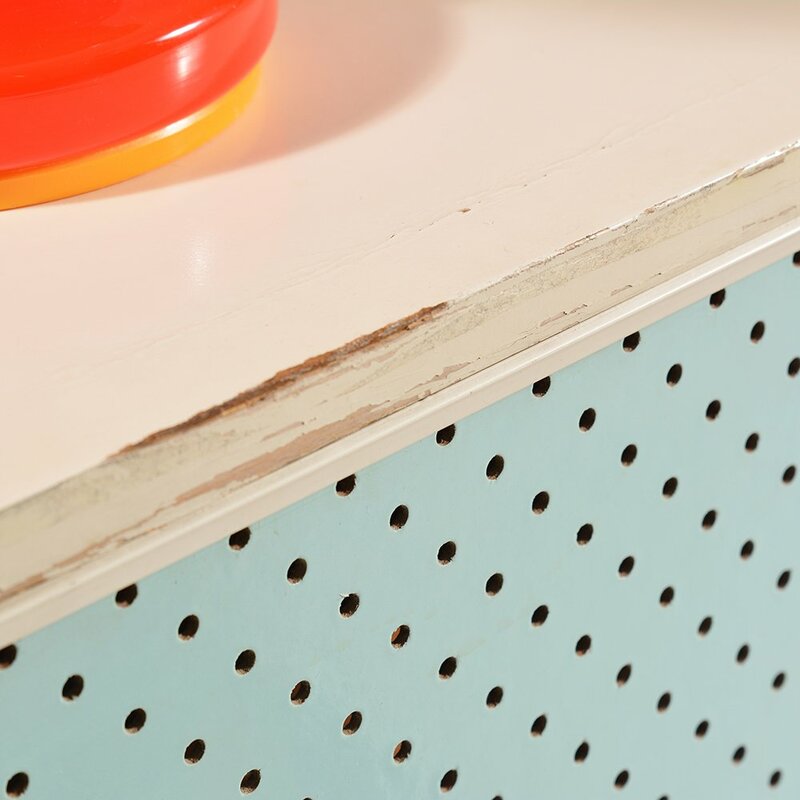 Original colors and finish in vintage condition with signs of use and age on the white paint which we kept, as it adds the charm off age we appreciate.